Take a gander at this Bella Coastal Decor exclusive! 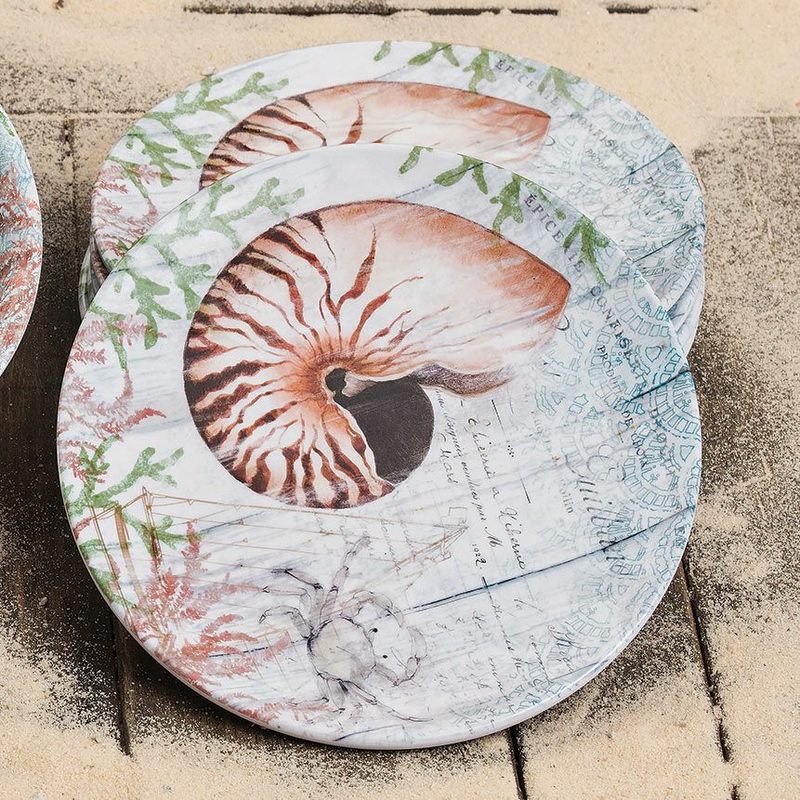 Melamine salad plates printed with coral and shells layered over vintage script. Top rack dishwasher safe. This nautical melamine dinnerware is not microwave safe. 9"Dia. each. For many more pieces, we encourage you to spend some time to peruse our complete variety of nautical melamine dinnerware sets at Bella Coastal Decor today.